Q: Does your main character come across as cocky, aloof, or just plain boring? A: Don’t worry. 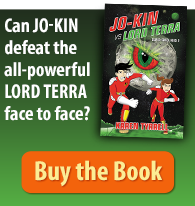 You can inject a HUGE amount of like-ability into your character, connecting your character with your reader … I did. How did I make a MORE Likeable Character? For my mid-grade novel, STOP the Bully I amped the likeability of my main character Brian Bennett to the MAX in the very first scene. How? New kid Brian Bennett saved Amelia from the bully sitting right behind her. Brian dived for Amelia as her chair tilted backwards, triggering a chain of humorous events. Kids love a hero AND they love humor! Get your character to SAVE the cat … SAVE their sister … SAVE someone in the first scene of your book. Every reader LOVES a hero character. Make the reader chuckle with your character on the very first page, scene or chapter. Humor strengthens your storyline, making your character irresistible. My name is Karen Tyrrell. 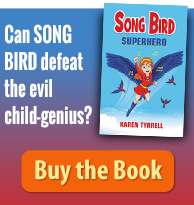 I present writing talks for Queensland Writers Centre, Write & Publish a Children’s Novel Masterclass and Book Marketing Masterclass PLUS at conferences, festivals, libraries and schools. I’ve published four books, winning three grants, two awards and a mentorship with the Society of Editors. How did I transform Brian Bennett into the most LOVE-able character he could be? 1.Identify with the Reader: Introduce him on page one via his thoughts, dialogue and actions so the reader can relate to him instantly. The reader must know the hero’s goals and motivations straight away. 2. Empathize: Allow the reader to empathize and sympathize with the character, really care about him. He could be an underdog with some endearing flaws or a reluctant hero. 3. Humor: Let the main character deliver humour on the very first page, to win the reader over. A character that makes us grin is a character we’ll LOVE to the end. 5. Integrity: A likeable character represents the values of the community. They defy evil and save the world. They stick up for geeks, and believe in fair play. They hate bullies. 6. Selflessness: We love characters who go out of their way to protect others: a friend, a family member, and the WORLD. 7. Loved by Others: Give your hero a sidekick and a team. If someone is loved by someone else, it proves the character as someone worthy of love, worthy of reading their story. 8. Compassion: Your main character must show an inspiring kindness and desire to uplift and help others. That compassion is the driving force for the story arc. 9. Bravery: Even when scared and nervous, the hero puts his life on the line again and again. He puts others before himself. 10. Determination: Your main character must never give up, no matter how many brick walls challenges he encounters. Remember he’s the hero even if he fails; he picks himself up and tries again. 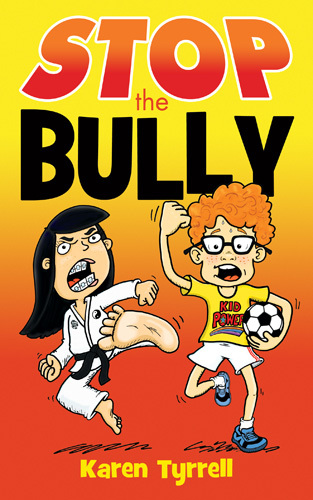 Brian Bennett was a flawed character (revealed later in a “Twist”) so I had to work EXTRA hard to entice the reader like him …I’m proud to say, Brian Bennett from STOP the Bully now ticks all those likeable character boxes, scoring 10 out of 10. 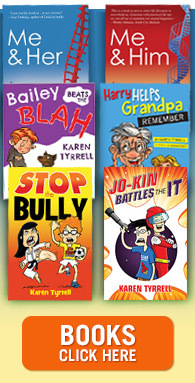 A NEW review for STOP the Bully has arrived from teacher, Dr Cherrye S. Vasquez, Ph.D.
I’m glad I made those positive changes, so important in fiction. How did your character score? How are you going to create a more likeable character? Which tips resonated with you? Please leave your comment below: Like, Tweet and Google Plus. Very good, I think relatability might be another trait, we would all like to relate to a hero, see ourselves as one, even though in many situations, it probably wouldn’t be true. Another great article, Karen. I’m pinning this one for future reference. This is a really great post, Karen. Thanks for checking my post and commenting here. Interesting, that you chose humor as a trait you’d like to add to your character. From my experience, writing humor does take practice… the more you write something funny… the easier it gets.